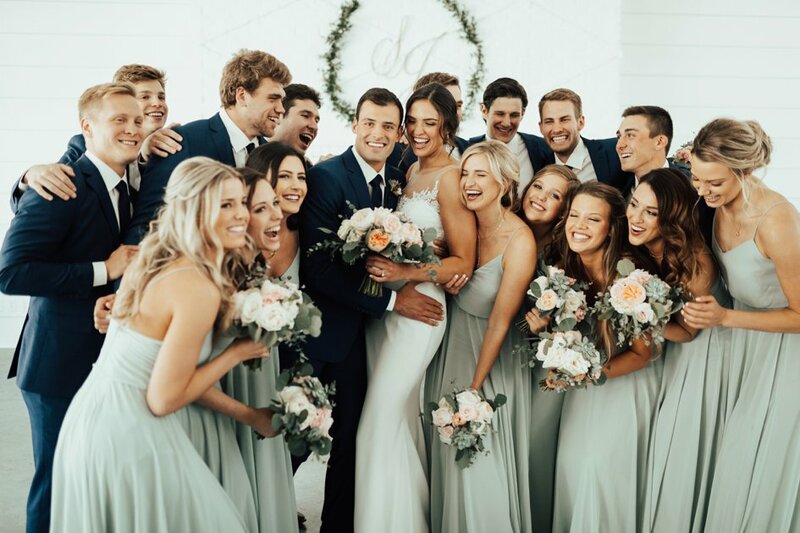 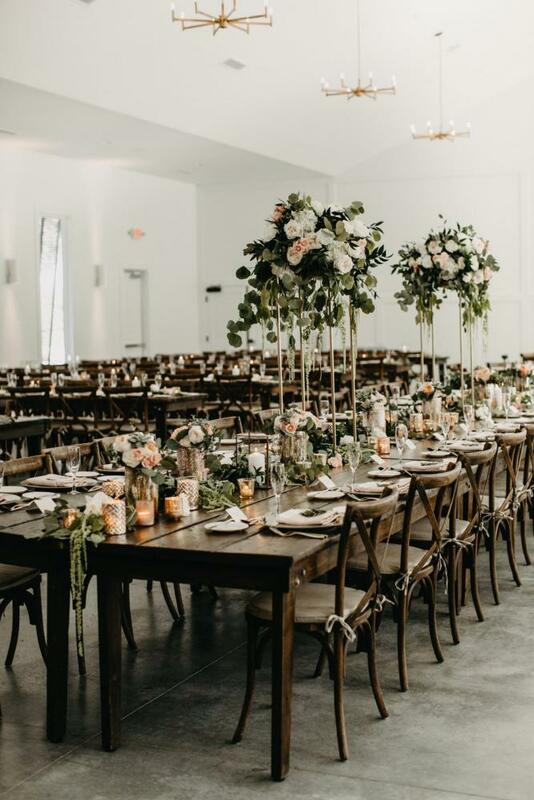 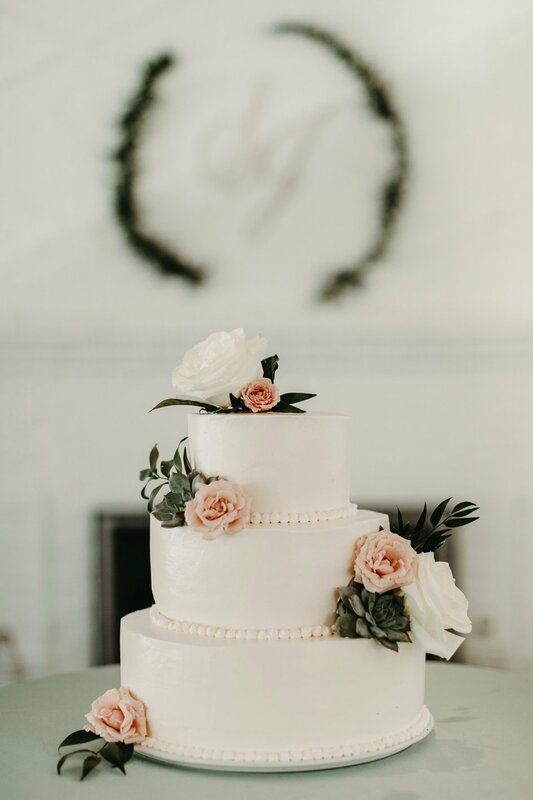 The mother of the bride planned this modern wedding while her daughter played professional volleyball for Team USA in Italy. 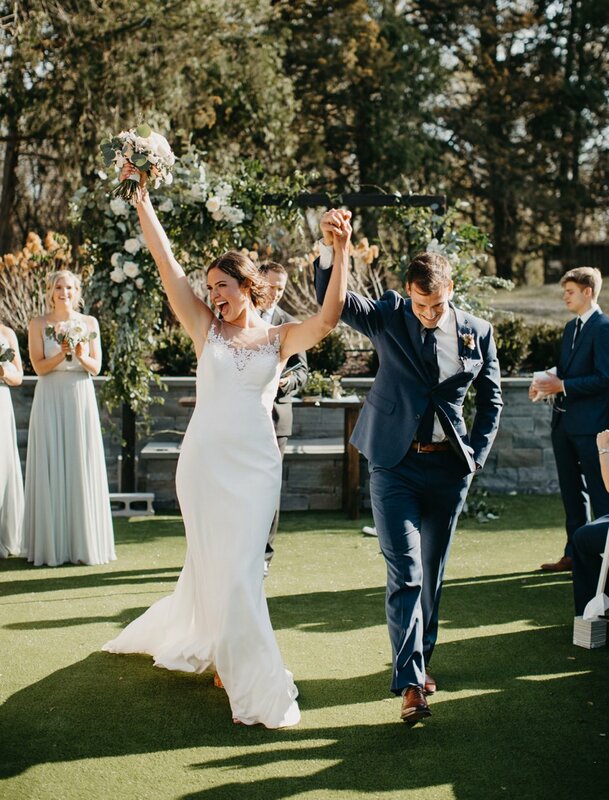 Sarah and Jameson were married on the grounds of the Hutton House on a sunny day in May. 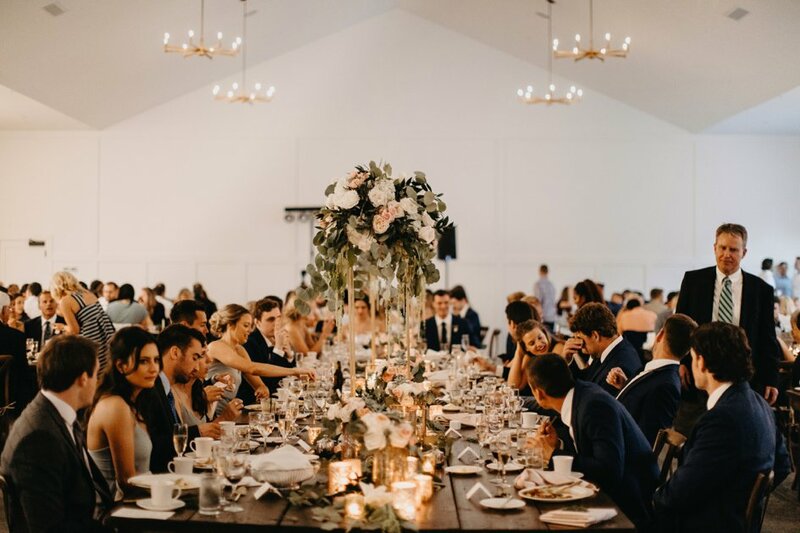 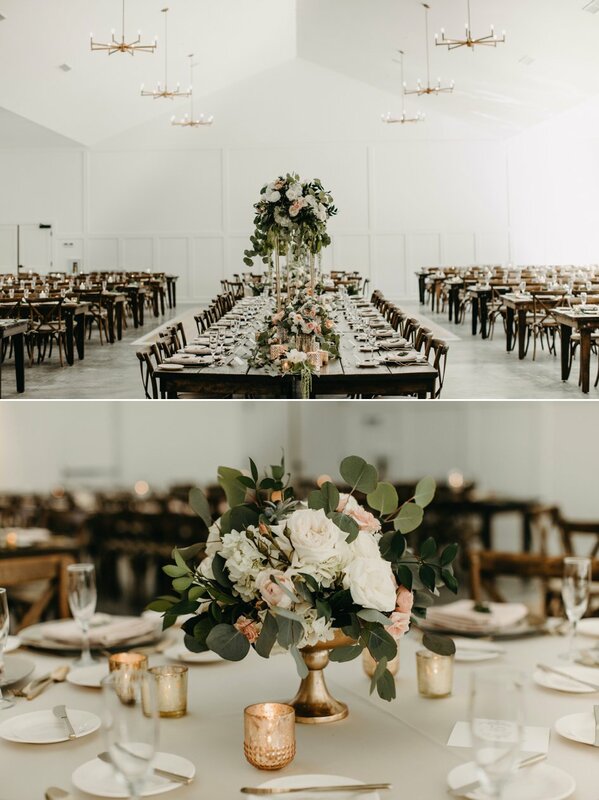 The brand new venue featured white walls and soaring ceilings with modern light fixtures and cement floors. 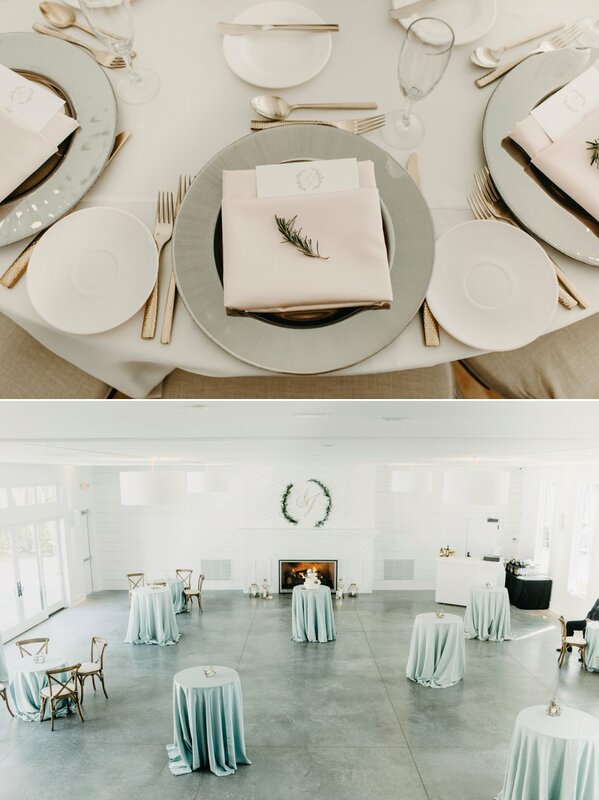 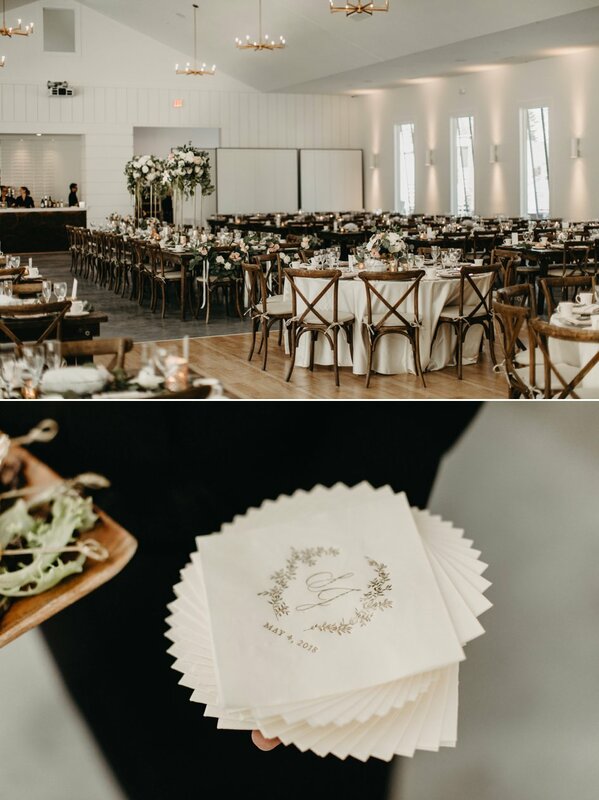 Farm table rentals were brought in to give the reception a contrast with the rich wood tones and neutral linens. 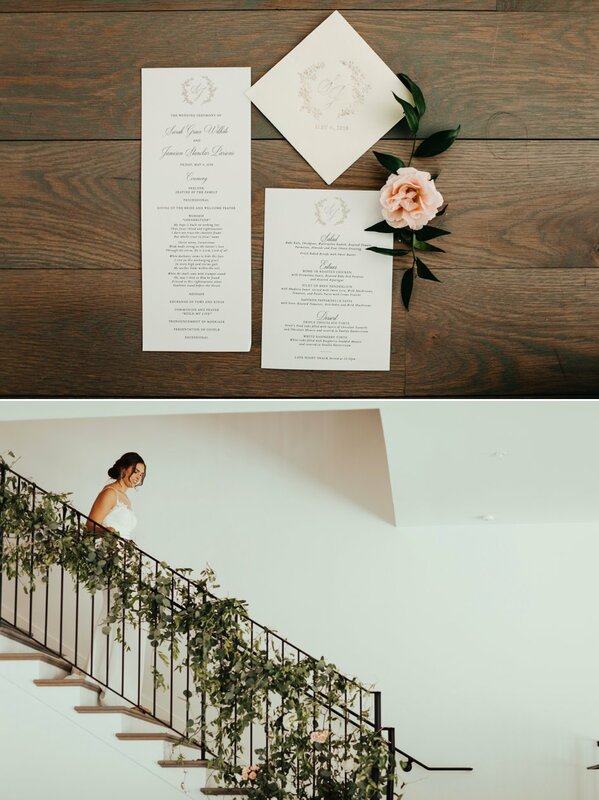 A custom monogram of the couple's initials kept the day personal and added a fun touch to the stationery. 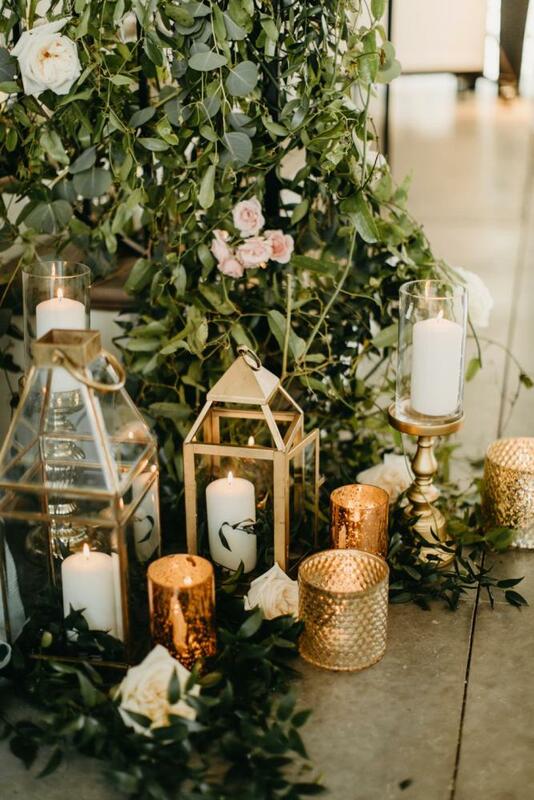 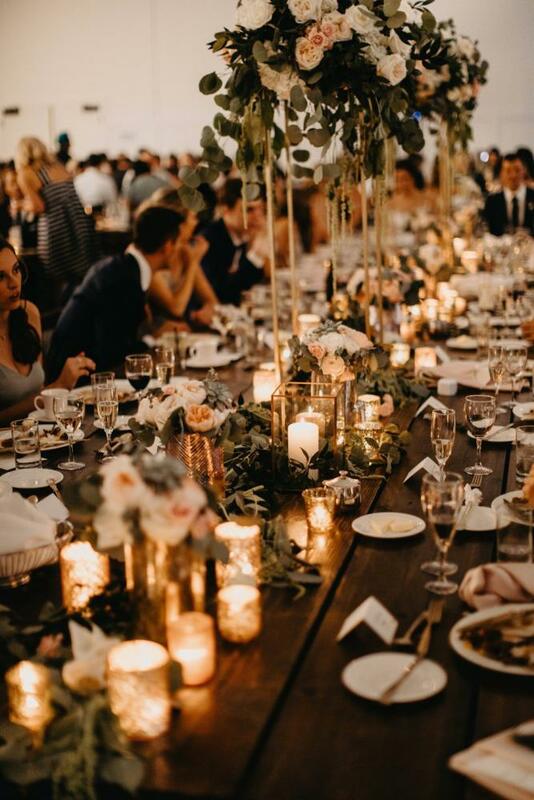 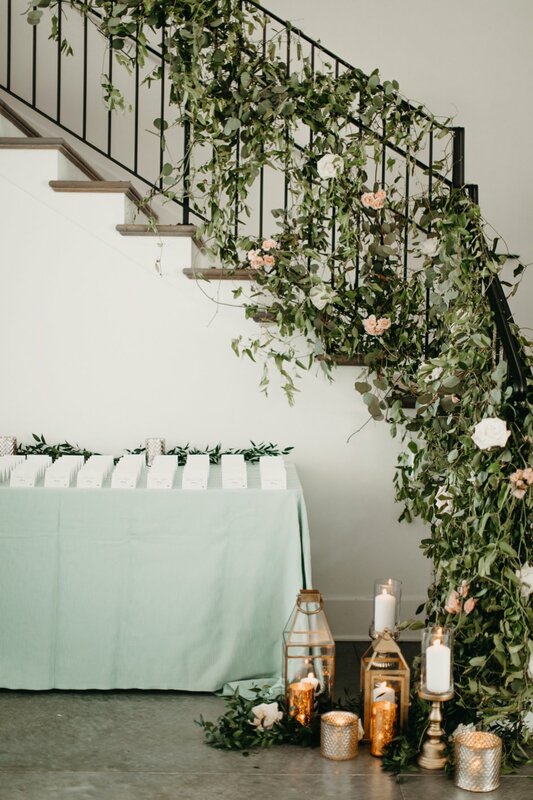 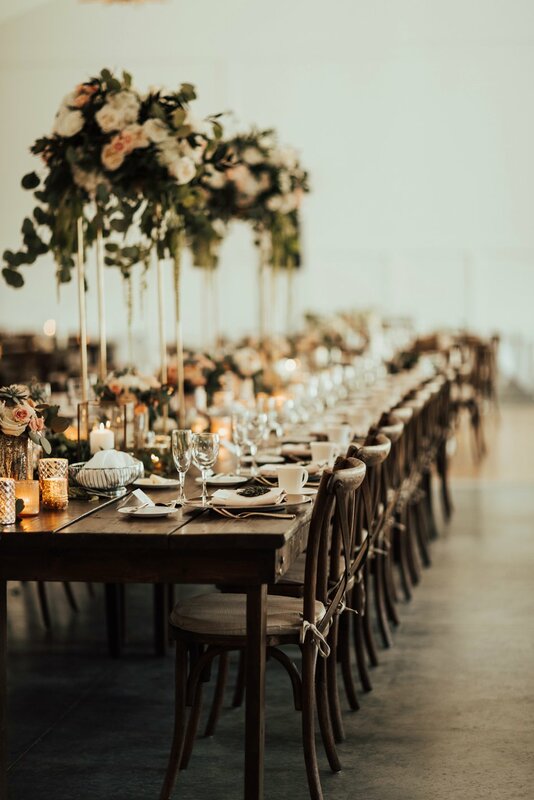 Greenery filled the tables along with warm candlelight and towering floral centerpieces that sweetened the air. 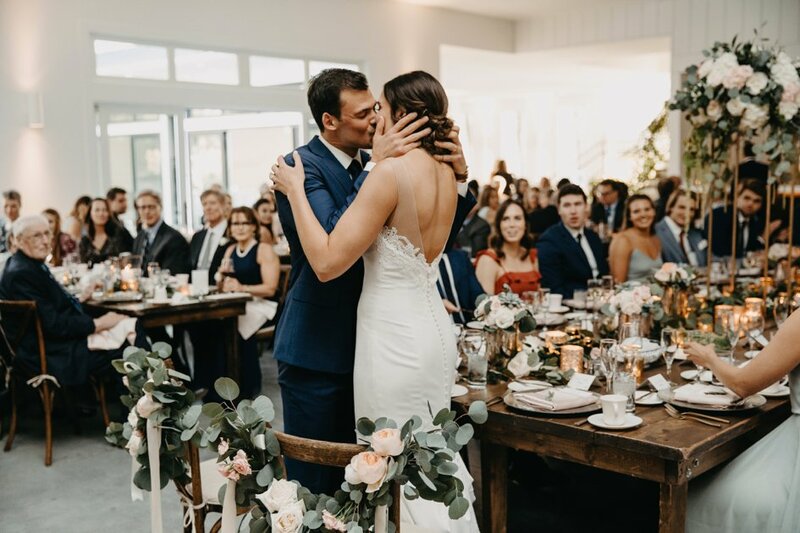 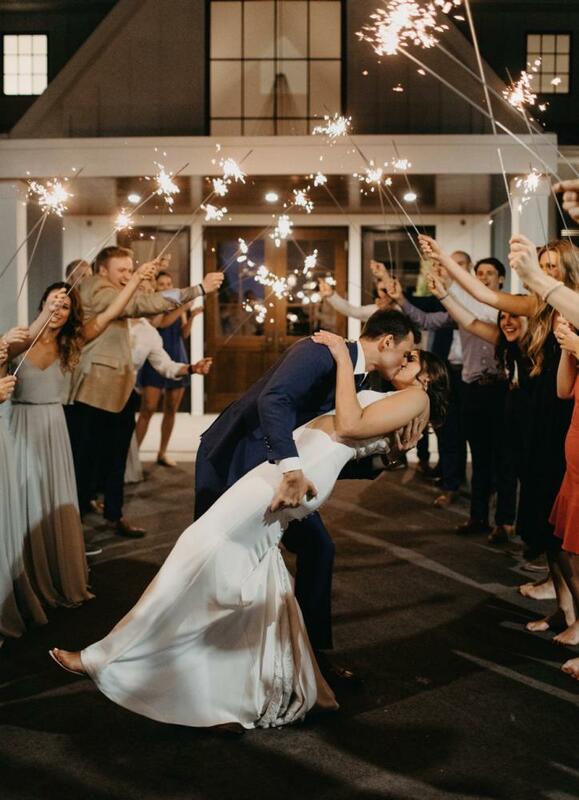 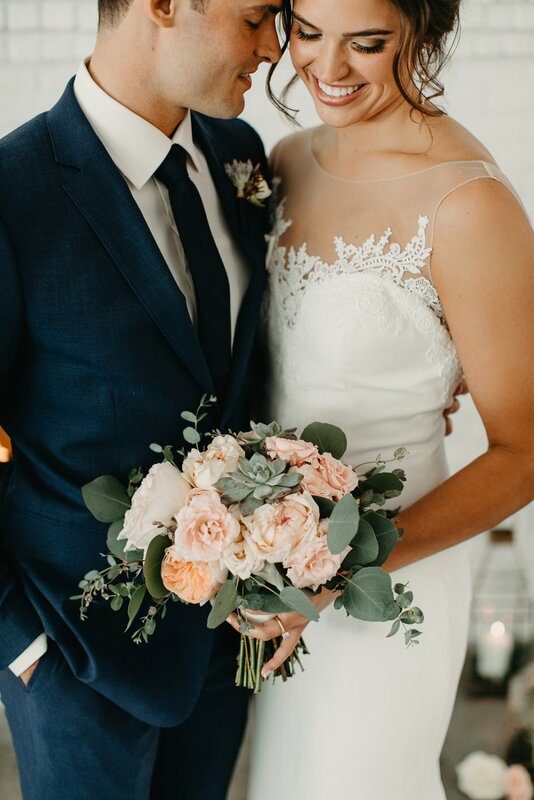 This sweet wedding was the perfect way for Sarah and Jameson to celebrate with their family and friends as they officially tied the knot!